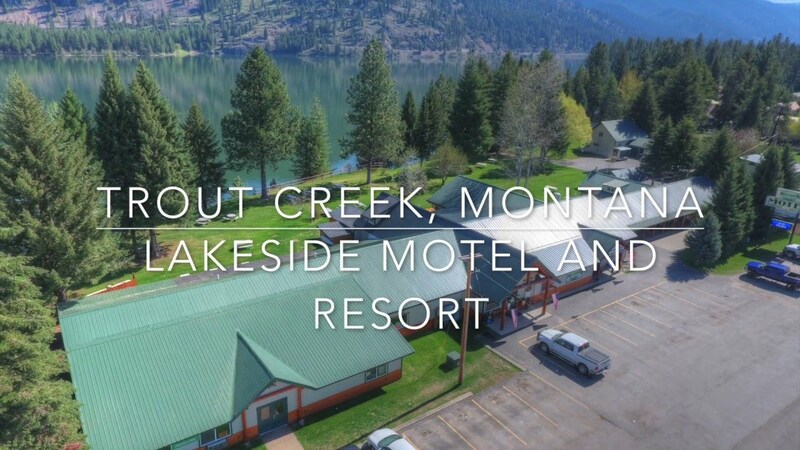 Montana Lodging's Lakeside Casino and Lounge in Trout Creek Montana, is a private area where no one under 21 years of age is allowed and offers a smoke-free air conditioned area, a complimentary drink per hour, comfortable chairs, updated gaming machines, and an ATM on site. We invite you to spend your winnings in our gift shop which houses unique items including sporting goods. Montana Lodging at the Lakeside Motel and Resort in Trout Creek Montana, offers a beautiful full service restaurant with seating to accommodate large groups. Our Lakeside Restaurant has a full service bar and wine list for your complete dining experience. There is no better place to have your outdoor wedding, family reunion or business convention than lakeside along the shores of the Noxon Reservoir with the majestic Cabinet Mountains as your back drop. All of our family vacation cabin rentals include fully furnished kitchens, tub-shower baths, living areas that include satellite LED TV and DSL/Free Wi-Fi. Our Lakeside resort is complete with our Lakeside Lounge and Casino, restaurant and our Montana Gift Shop that includes a full sporting goods selection. Take a look at our lodging accommodations, resort grounds, and facilities in addition to activities you can do while staying here. We have many events all year round including Hydro-racing, car shows, ATV/snowmobile rallies, poker runs, family reunions, business conferences, and weddings are our specialties. Plan Your Next Stay Now! Don't put off your dream vacation in the beautiful mountains of Western Montana!